Celebrating your engagement and beginning to make plans for your big day is such an exciting time. But it can often feel slightly overwhelming with so many decisions to make – especially when it comes to the HUGE decisions like choosing the perfect wedding venue! Choosing your wedding venue is usually one of the first big steps you and your fiance will take when planning your wedding. Your wedding venue will not only set the tone for your special day, but can also impact your styling, budget, guest list and overall experience. There are definitely some important things to keep in mind when venue hunting, to ensure your chosen location is the best fit for your requirements. 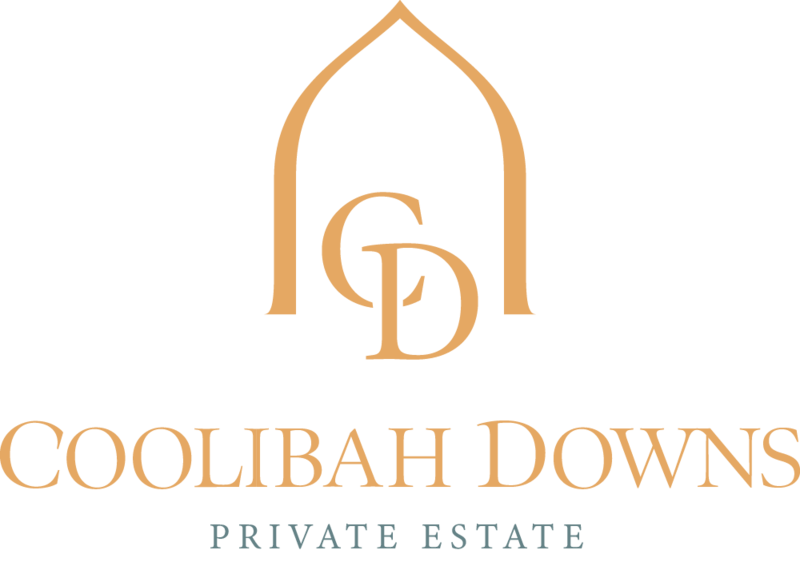 Here at Coolibah Downs Private Estate, we’ve helped hundreds of happy couples through the venue hunting process – so if you’re currently struggling to narrow down your options, keep reading for our top tips on how to choose a wedding reception venue that ticks all of the boxes for your upcoming celebration! Let’s be honest – you probably already have a secret Pinterest board and hundreds of ideas when it comes to the look and feel of your big day, right? Your overall vision of how you want your wedding day to unfold is the best place to start when it comes to narrowing down your venue options. Which is why we recommend creating a list of must-have venue features that will help you create your dream day. For example, if you’re imagining an alfresco garden wedding under the stars, you’ll want to find a venue with beautiful outdoor areas, manicured lawns and lush hinterland surroundings. Or, if you’re dreaming of a fairy-lit marquee reception, finding a private estate venue with a marquee structure might be a top priority. These are the details that will help you create the ambience and atmosphere you’ve been envisaging – so keep these features front of mind when compiling your venue short-list! Obviously you want your wedding to look beautiful, but it should also be a stress-free day that runs smoothly, too! This means that the perfect venue will also need to tick some practical boxes when it comes to details like guest capacity, accommodation, facilities, budget, location, coordination and wet weather options. Make sure you get clear on these important details at the very beginning – there’s no use booking a venue unless you know they can definitely accommodate your plans for the day. Having a general idea of your guest numbers, a ballpark figure for your budget and a rough outline on how you want your day to run will really help you narrow down your options. You might even consider making a checklist or spreadsheet of these practical requirements and have this handy during your initial venue enquiry, so that you can tick each requirement off as you go. Research will play a huge role in choosing the perfect venue, particularly if you are planning your wedding from interstate or overseas. So spend some time browsing the website of your dream venue, checking out their blog and real wedding gallery, as well as testimonials from past clients. You can also use this research to take note of any special offers or packages that might be available for different days or seasons during the year. One of the best things you can do when venue-hunting is to book in for a site tour to check the space out in person. Just like choosing your wedding dress, you’ll probably know immediately if it’s “The One!”. At the end of the day, there really is no better way to soak up the atmosphere of a potential venue than by experiencing it first-hand – so arranging a site visit should definitely be on your must-do list. Choosing a wedding venue might seem daunting to begin with, but when you know what to look out for, it can be a relatively simple (and even enjoyable!) process. So whether you’re envisaging a hinterland wedding reception or elegant marquee setting, hopefully these tips and tricks will help you narrow down that shortlist and find the wedding venue of your dreams! If you’re currently searching for the perfect Gold Coast hinterland wedding venue, why not book in for a site tour or join us for our upcoming Wedding Showcase and Open House at Coolibah Downs? Taking place on Friday 23rd February, it’s the perfect opportunity to browse our picturesque garden wedding venue, intimate chapel and luxury marquee in person, with our professional wedding team available to answer any questions. You can view more details on the blog, or RSVP over at our Facebook event!